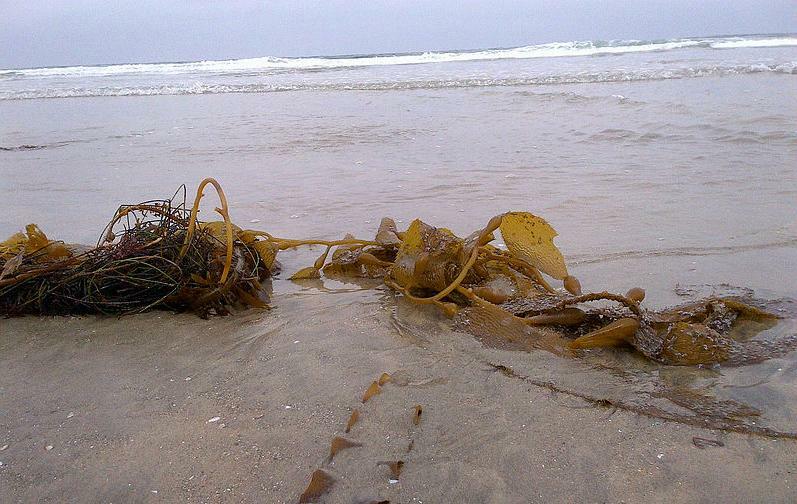 You may, at one time or another, when walking on the shore, have come across a variety of large, ribbon-like seaweed cast up on the shore, possibly with the olive-green fronds still attached to a thick, rope-like stem. For years, I knew the basic type simply as ‘Kelp’ but, point of fact, that name actually includes a whole range of very different seaweeds (many of which are edible) and the sort you see pictured above is more properly referred to by its Japanese name ‘Kombu’ ( or, less frequently, ‘Konbu’). 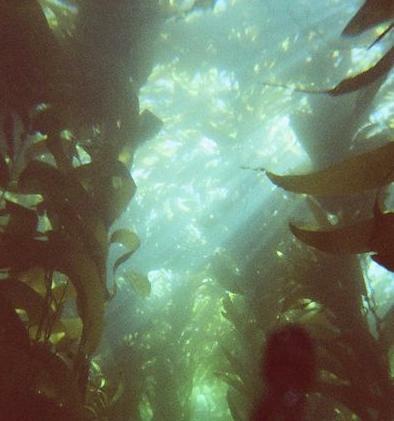 Kombu is not a ‘rock seaweed’ like others you may find growing along the shore, rather it occurs in deeper waters where the long thin fronds, properly known as ‘blades’ are attached to the bottom by the ropy stems known as the ‘stipes’. It is extremely fast growing, with blades reaching up to 80 meters long, and often occurs in dense ‘forests’ as shown above. I can only imagine that swimming through these in scuba gear must be a very eerie experience indeed. 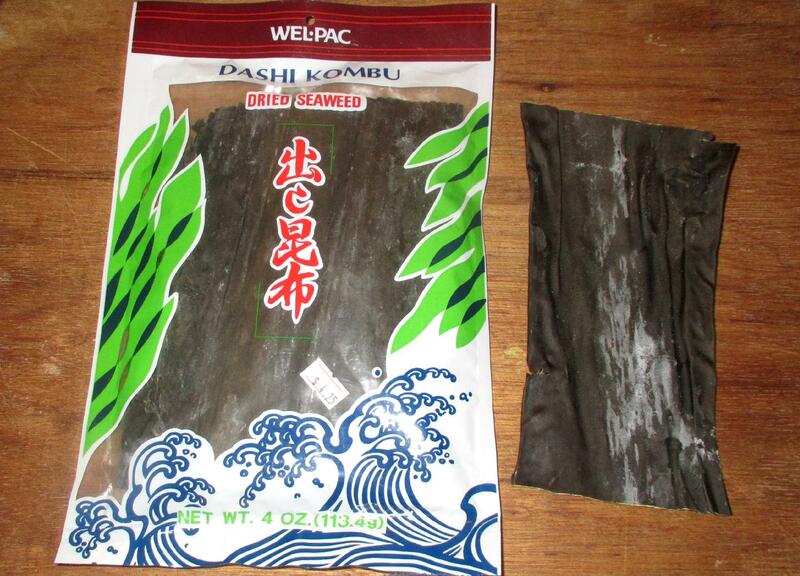 You most commonly find Kombu packaged in whole blade sections cut to anywhere from 6 to 12 inches long. You can, however, find dried Kombu that is cut in squares, strips, or slivers, and a granular form can also be found which used alone, or with other ingredients such as ground dried fish, as a Furikake, or sprinkled topping for rice. The dried blade can be eaten as is, and it is sold in small bite size pieces to be used as a snack (perhaps alongside sake or a beer), but typically it is reconstituted for use in other preparations. Here you can see a section of dried blade in close-up. You should note the whitish residue adhering to the surface as this is an important feature. Some of it is straight sea salt, whilst some is composed of naturally occurring glutamates, including monosodium glutamate, and these pack a lot of flavor. Accordingly you should never wash or rinse kombu as you will only be flushing away some of the best taste. If you are very fastidious, you can, as some suggest, wipe the surface with a damp cloth but, personally, I don’t bother with this. To reconstitute kombu, all you need do is to soak it in warm water. 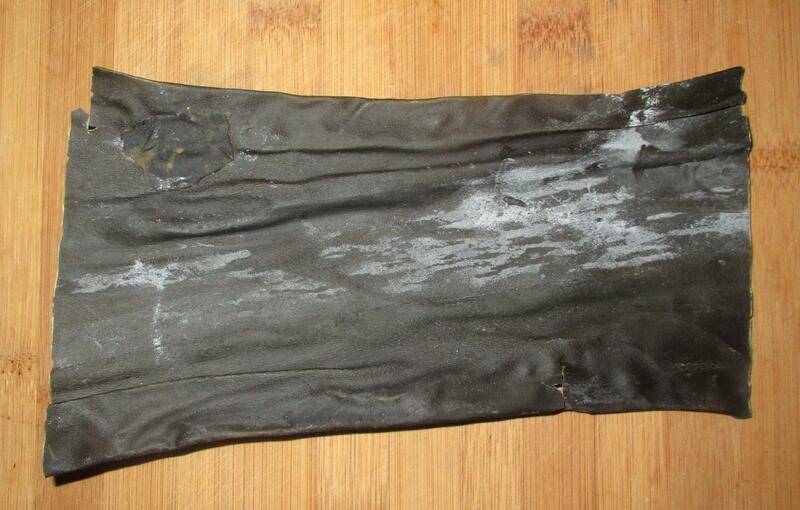 Here you can see the piece from the previous picture that was soaked for about 15 minutes in 4 cups of water. The small section has now tripled in size and is very soft and pliable. It can now be sliced and eaten immediately in cold preparations or else added to other ingredients to be cooked. Beyond the snack usage mentioned above, Kombu, once soaked, is often used in Chinese, Japanese and Korean cuisine as a salad ingredient. The Japanese take this even further and pickle it in rice vinegar, and both the Japanese and Koreans prepare it with soy, sugar and other ingredients to make cold dishes that keep well and can be used as condiments or banchan. Pieces of the whole blade are also reconstituted and added to soup, stews or simmered dishes, as well as to rice or noodles but, in the main, the primary use of Kombu, at least in Japanese cuisine, is as a source of umami essence. One good example of this is in the preparation of Sushi rice, wherein a strip of Kombu is added to the rice water as it is cooking (and later removed) but the real importance of Kombu is in the preparation of broth or stocks, particularly the quintessential Japanese stock known as Dashi. Since this preparation forms the base of so many other dishes, it is difficult to imagine a Japanese meal that does not include the use of Kombu somewhere in the menu. There are two methods of making Kombu Dashi, one with cold water and one with hot, but the ingredient ratio is the same. You may have noted above that I specified using 4 cups of water to reconstitute Kombu for other uses. In point of fact, the amount of water does not matter too much for just this purpose, but it is always a shame to discard the soaking water, even if only used briefly, and so I used the amount one would typically use for dashi. 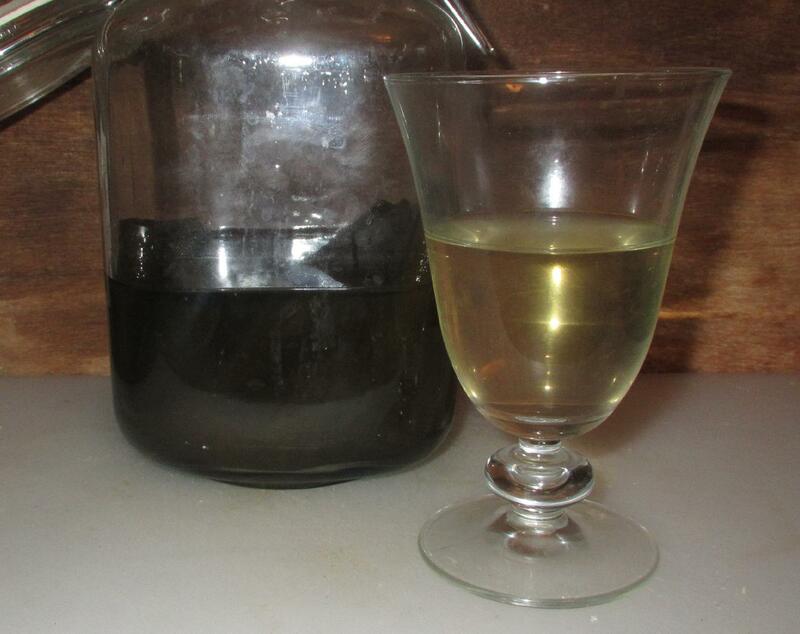 Basically, the ratio is 4 cups of water for a strip of Kombu of 6 to 8 inches in length. This assumes a strip that is roughly the width of one’s hand so, if you have thinner strips, or broken pieces, adjust accordingly. For cold water dashi, just cover the kombu with the appropriate amount of water and then set aside to soak for 12 hours or so. If you like, you can just stick it in the fridge overnight and have the dashi ready for use the next day. Here you can see that the resultant stock is a nice light greenish-gold in color. The taste is very subtle but beautifully flavored with a nice umami body that just barely betrays its marine origins. The vague meaty taste could easily be mistaken for a delicately seasoned, but very light chicken broth in some ways and, if you didn’t know what you were tasting, you would be hard-pressed to identify the source as seaweed at all. The second, and more common method of making Kombu Dashi, is to soak the dried seaweed for 30 minutes or so in a suitable pot and then bring it to just below the boiling point over low heat. 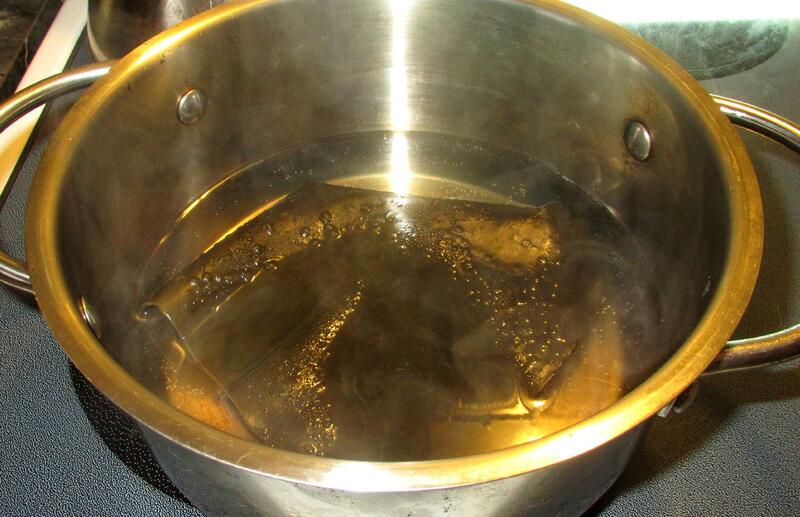 As soon as this happens, remove the pot from the heat and let it steep for a few minutes longer. Allowing the liquid to boil will change the character of the resultant stock. Some say it introduces unpleasant fishy tastes and, while I don’t find this myself, the taste is certainly altered. For the proper flavor, for Japanese dishes, it is very important that the stock reach no more than a gentle simmer and the Kombu removed after just a few minutes. 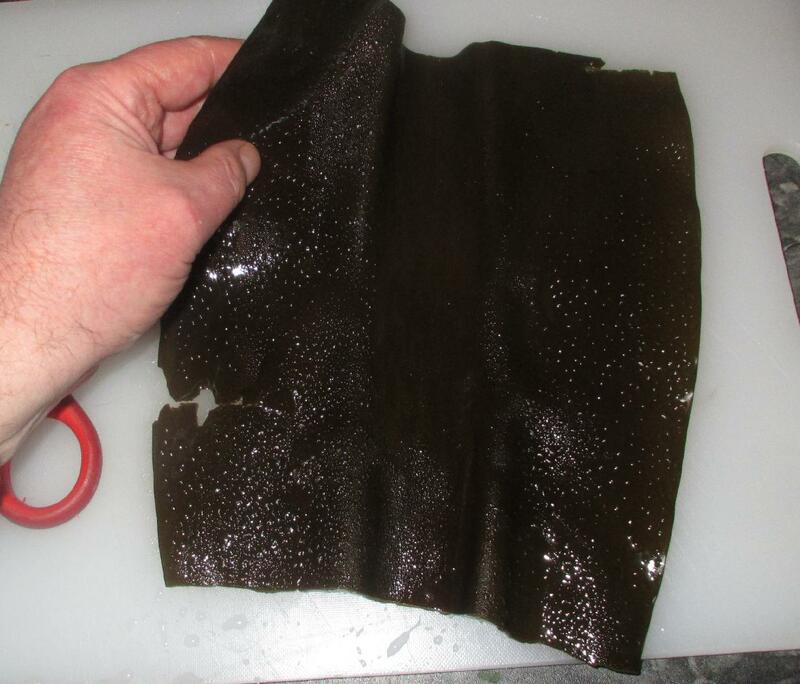 Finally, don’t throw away the Kombu after it has done its initial job. At this stage, it can still be used in other dishes or, if you like, you can do a ‘second run’ with a fresh batch of water. In Japanese culinary terms, the first use of Kombu (and other ingredients) produces an ‘Ichiban Dashi’, or ‘number one stock’, while a second run is called ‘Niban Dashi’ or ‘number two stock’. Reblogged this on Suzanne's Blog.